In 1825 there were about 70 institutions around the country with educational results that were rather mixed. The Mechanics Institute, to provide a technical education for young men, had been formed in Yeovil by the Chartist campaign and a building in Church Lane, today's Church Street, was home to Yeovil's Mechanics Institute in early Victorian times. The name did not derive from machinery but was a term to denote manual workers and craftsmen. The Institutes were not particularly well supported, partly due to their specialisation in science. Indeed the Sherborne Mercury reported in 1839 that the Mechanics Institute in Yeovil was "not well attended". It was reported that the Mechanics Institute had forty members in 1840, but numbers soon dropped sharply and the Institute closed shortly thereafter. Subscriptions were six to ten shillings, with nine lectures a year. However, the Mechanics Institute soon petered out. After the Mechanics Institute closed it was followed by the Yeovil Mutual Improvement Society which, in 1880, merged with the Young Men's Christian Society (YMCA). In turn it became Thring's Central Auction Rooms which was destroyed by fire. 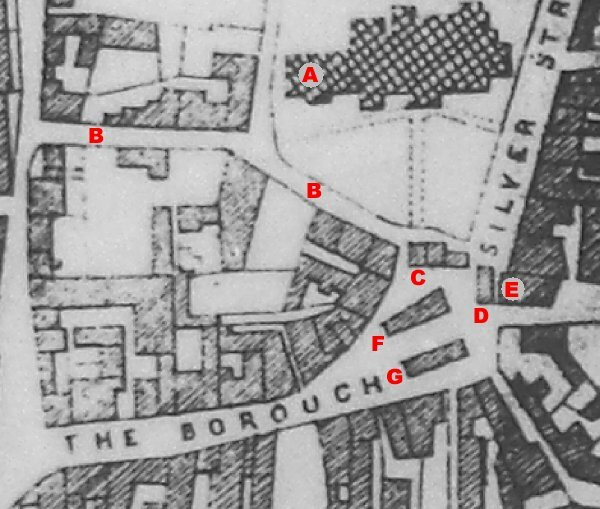 The Mechanics Institute building was in Church Lane above and immediately to the right of the red 'B' at top left. 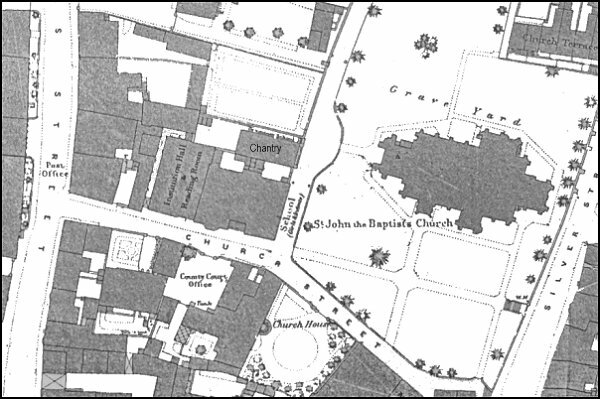 Map based on the 1886 Ordnance Survey. By this time the original Mechanics Institute had been demolished and replaced by the "Institution Hall and Reading Rooms".